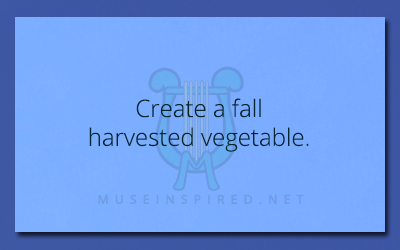 Fabricating Flora – Create a fall harvested vegetable. Fabricating Flora - Create a plant that attracts wildlife. Fabricating Flora - Create a berry with a fuzzy texture. Fabricating Flora - Create a leafy green found deep in the jungles.